Once again we woke up late. We’ve always planned to wake up at 9am, but I guess this is the most difficult task for us. 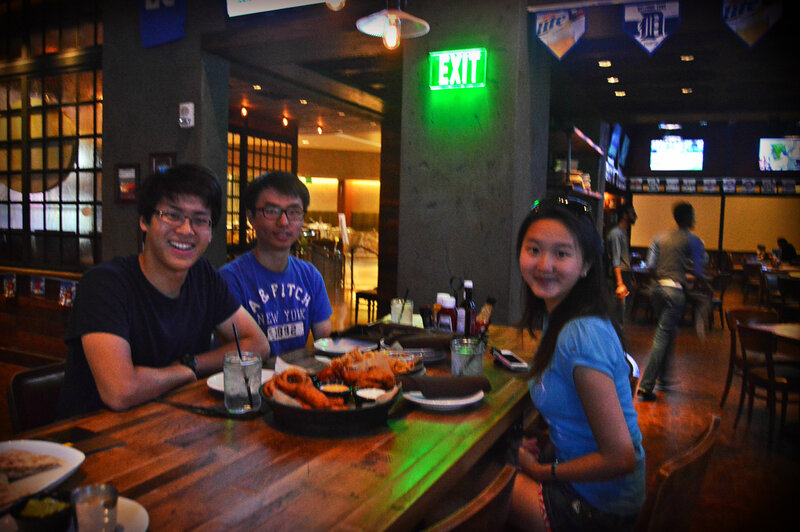 At Detroit MGM, we had free nights and free meals. Thank you to MGM for your sponsorship! We hadn’t had a nice breakfast in a while, or really any breakfast in a while. After a surprisingly delicious and filling breakfast, we went to an iconic place in Detroit showcasing the history of the American automobile industry: the Ford Museum. We saw various automobiles and wagons from way back from 1700s. 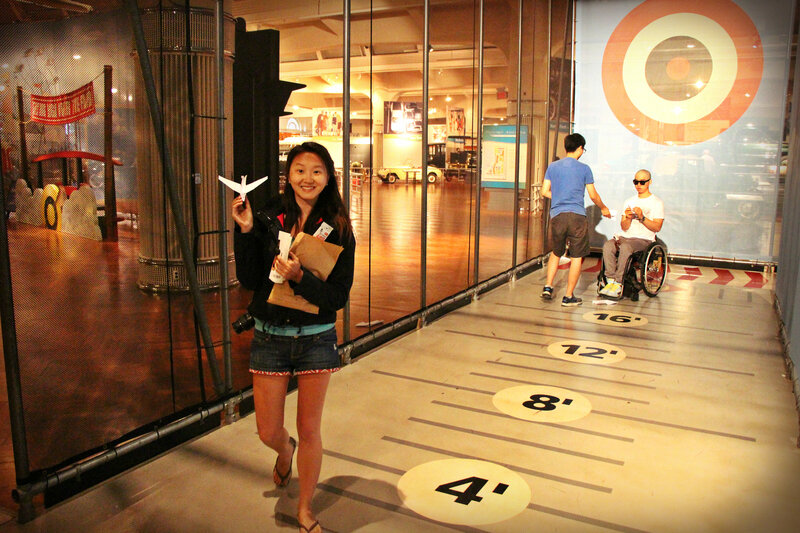 The most fun part of the museum, for me, was paper airplane competition section. The Ford museum also had great exhibit on airplanes and there was a kid’s section with paper airplanes. After the Ford Museum, we had a tour of MGM Detroit. 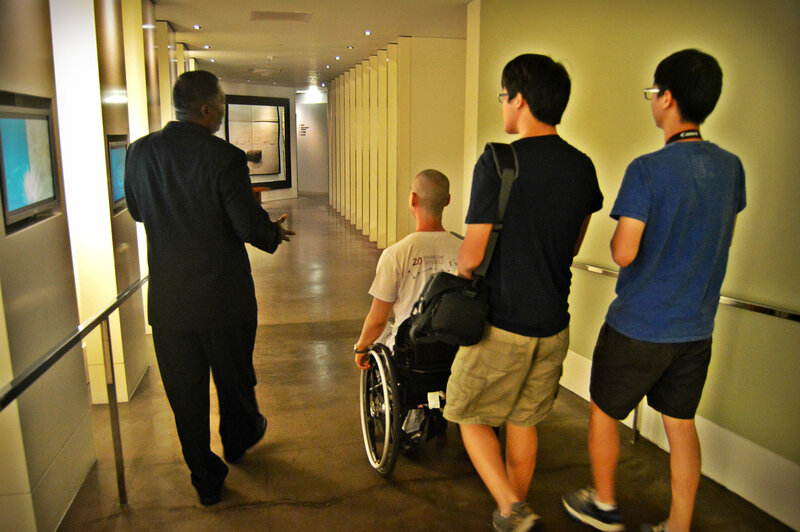 Mr. Anthony Turner gave us a nice tour of the hotel’s facilities. The hotel was readily equipped with accommodations for people in wheelchairs. One of the only difficulties I had was with the carpet and the door. It is always a challenge for me to roll over carpet. Also the doors at MGM Detroit were extremely tough to push. Detroit used to be the home of the “Big Three”: GM, Ford, and Chrysler. 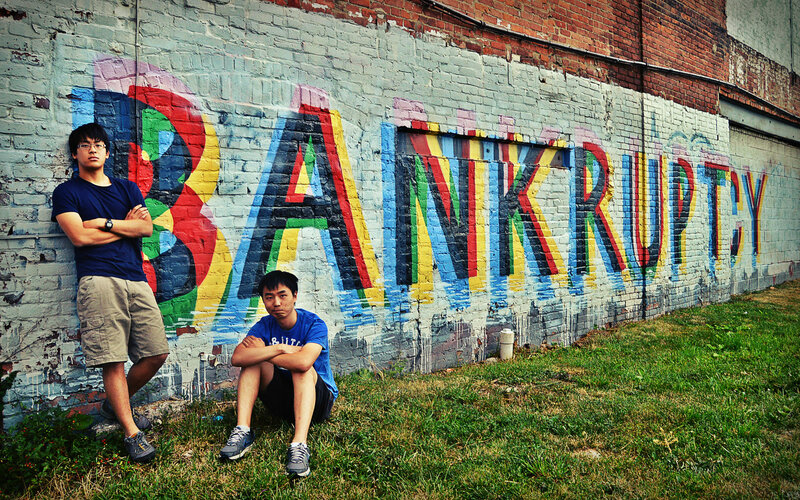 Now it is one of the most dangerous cities in the United States and the city recently filed the largest municipal bankruptcy case in US history. We found interesting graffitis that decry the current state of the city.